Firstly, Happy New Year everyone. I hope 2015 brings you lots of joy and happiness. I am very excited to start the new year with a new book – and this time it’s one that I have written rather than read. Rumour and Reprisal has been several years in the making and inspired by the countless number of Pride and Prejudice variations that I have read and now line my bookshelves, as well, of course, by Jane Austen’s original novel and all of her wonderful characters. I decided to self-publish my novel and although I thoroughly enjoyed the process, I am over the moon that the editing and proofreading is finished and I can now share my story with other Pride and Prejudice fans, or maybe those who are completely new to Jane Austen. I don’t want to give too much away here but the next paragraph should give you a flavour of what to expect. If you have a spare £7m, Netherfield Hall could be yours! 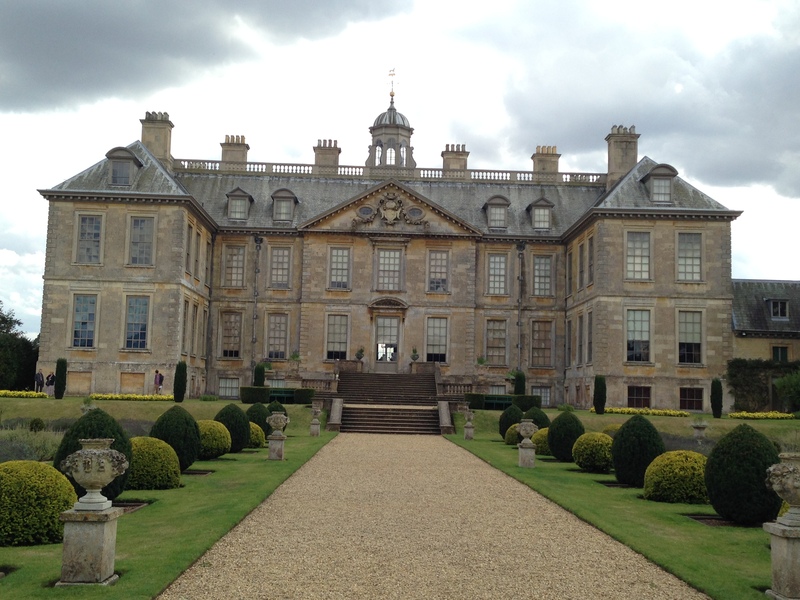 Yesterday I visited Belton House, another location used in the BBC version of Pride and Prejudice. It has been on my to ‘see list’ for a while as the house, and all its windows and chimneys, belong to Lady Catherine de Bourgh. It is just as impressive in real life as it appears on screen – do you recognise it? This is a post I’ve been meaning to do for a while (Part 1 came way back in September last year) – better late than never I guess! 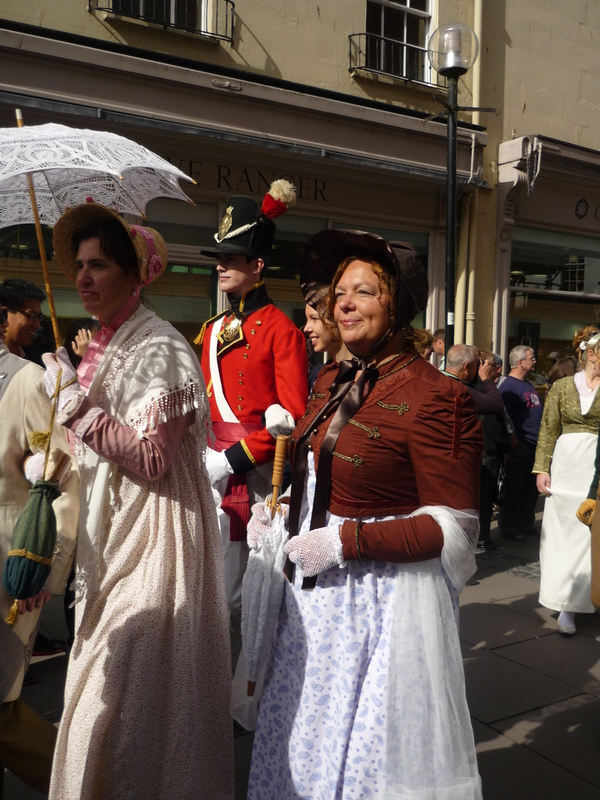 Jane Austen fans may already know about the Festival that takes place in Bath every year celebrating the author and her life and times. 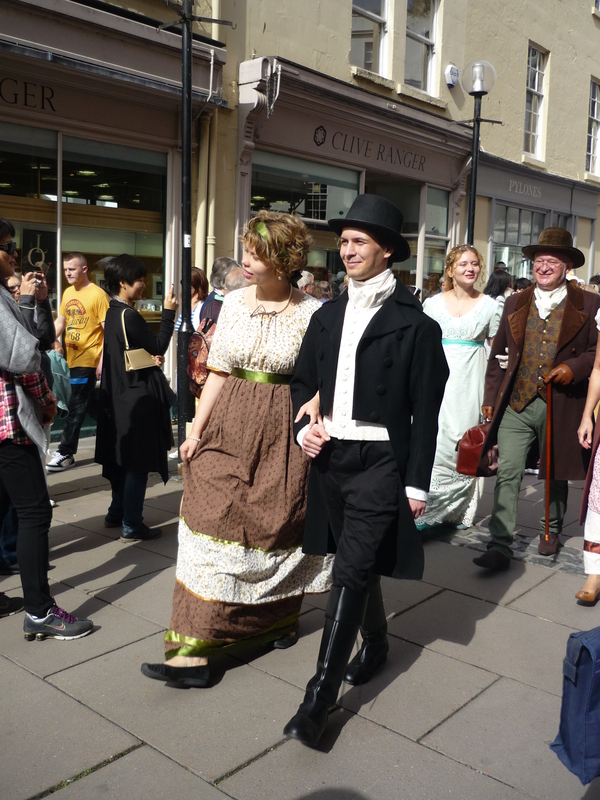 Here are some more highlights from last year’s event, including more from the Regency Promenade, and the Regency Fayre. The costumes, as you will see, were incredible. It really felt like we had all gone back in time. Today marks a very special day for Jane Austen fans. On this day in 1813 the novel that brought us Mr Darcy, Elizabeth Bennet, Lady Catherine de Bourgh, and many more memorable characters, was published for the first time. 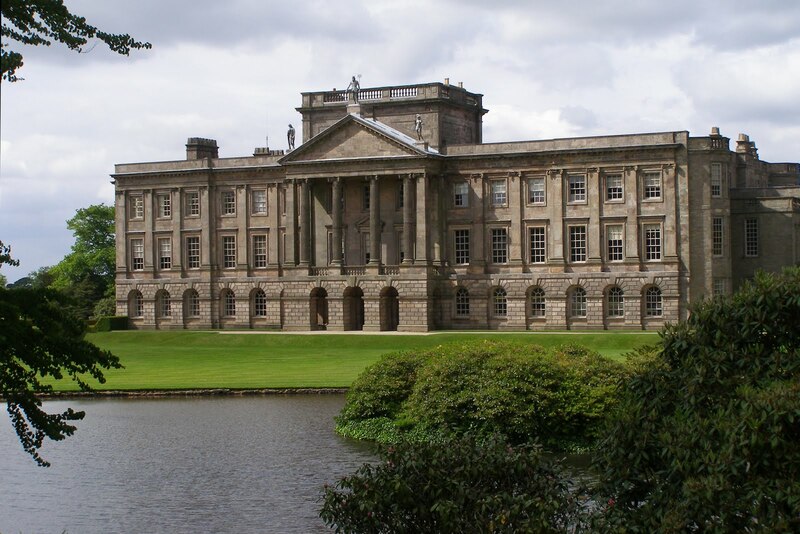 It has arguably become the most successful and most well-loved of all Jane Austen’s novels, inspiring many television and film adaptations, and hundreds of spin-off stories and sequels. It is my all time favourite story, and one I just can’t put down no matter how many times I have read it! To celebrate this special day, I have compiled a list of top 5’s all with a Pride and Prejudice theme. I hope you’ll share yours with me too. 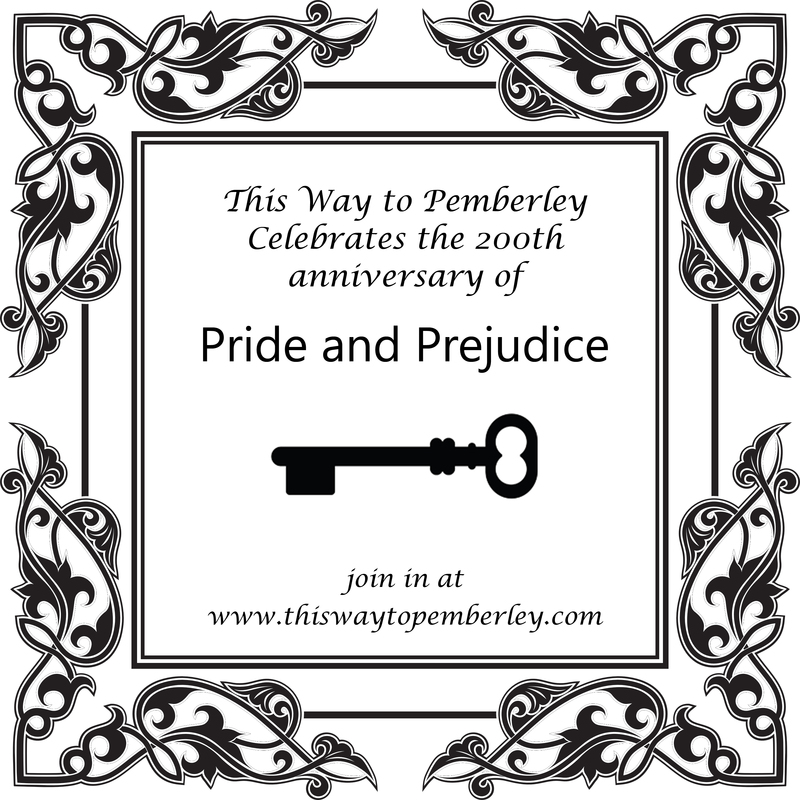 The 200th Anniversary of Pride and Prejudice: are you excited? Firstly, a belated Happy New Year! I’ve been away from blogging for a while so apologies to my followers (this is what happens when you work for a gift company at Christmas!) 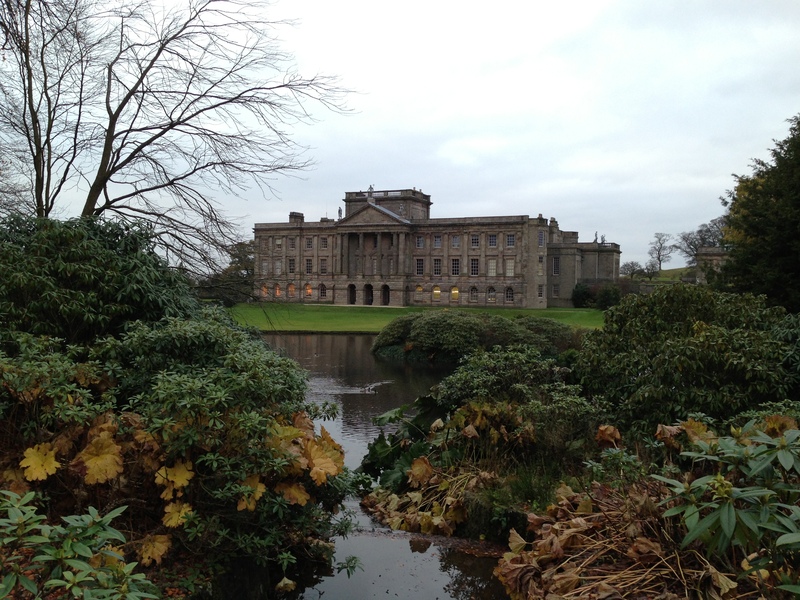 But I’m back now and very excited as later this month marks the 200th anniversary of Pride and Prejudice! From other blogs I’ve been reading, I’m not the only one who is set to celebrate on the 28th so I thought I’d try something a little different! I would love to hear from other Jane Austen fans about why you love this book and include your comments in a special tribute post on the 28th January: the day that Pride and Prejudice was published in 1813. 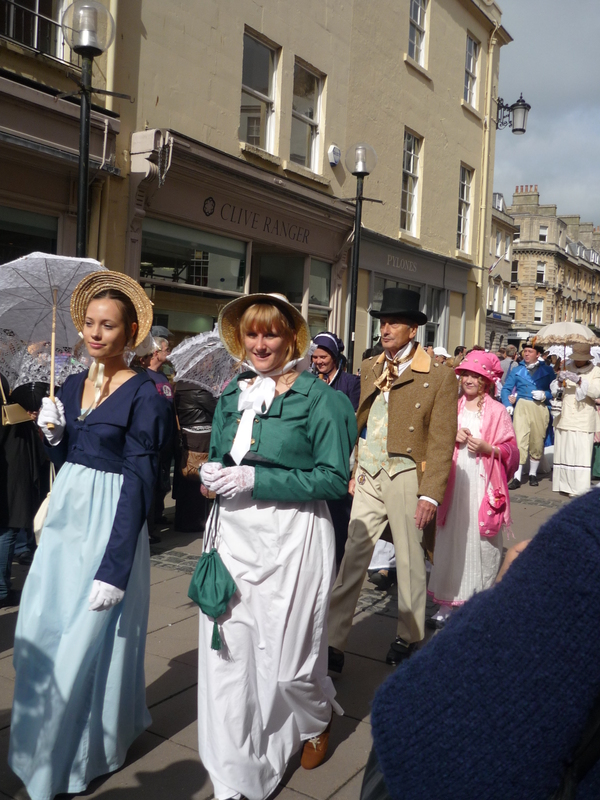 Bath has to be one of my favourite cities and a couple of weeks ago I was lucky enough to see it host the Jane Austen festival. 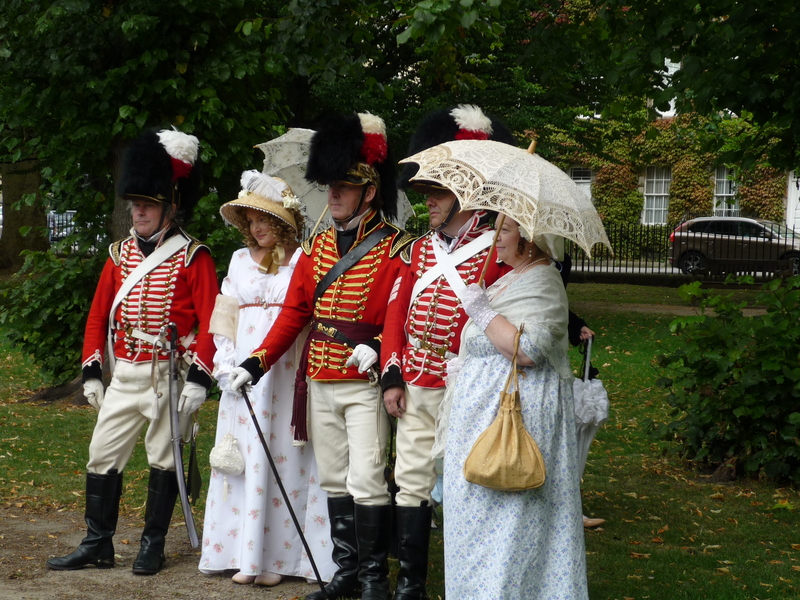 There was a teaser in my previous post showing a wonderful group of re-enactors in full military uniform; but there was more! 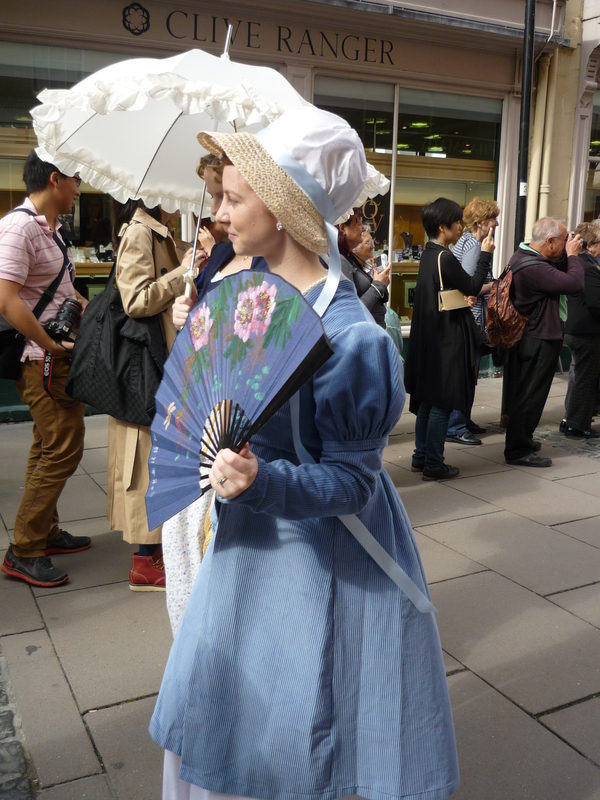 Wherever you looked there were Jane Austen enthusiasts, many of them dressed in spectacular Regency costumes, and helpfully for spectators they all gathered in Queen’s Square before the Grand Promenade; perfect for taking photographs!